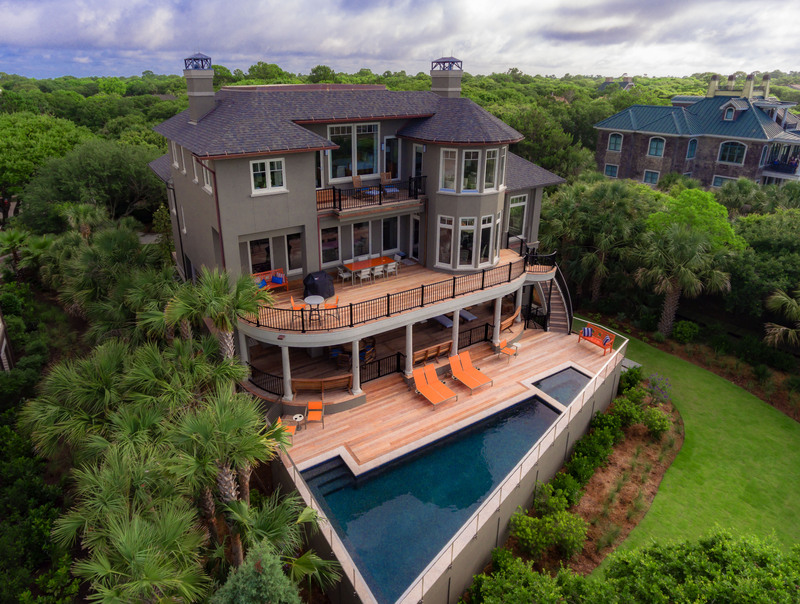 This stunning luxury Kiawah Island oceanfront vacation rental, located at 46 Surfsong Road, offers three levels of indoor and outdoor living space, seven bedrooms with private bathrooms, a heated pool and spa, and its own boardwalk to the beach. The home was fully renovated for Summer 2016. 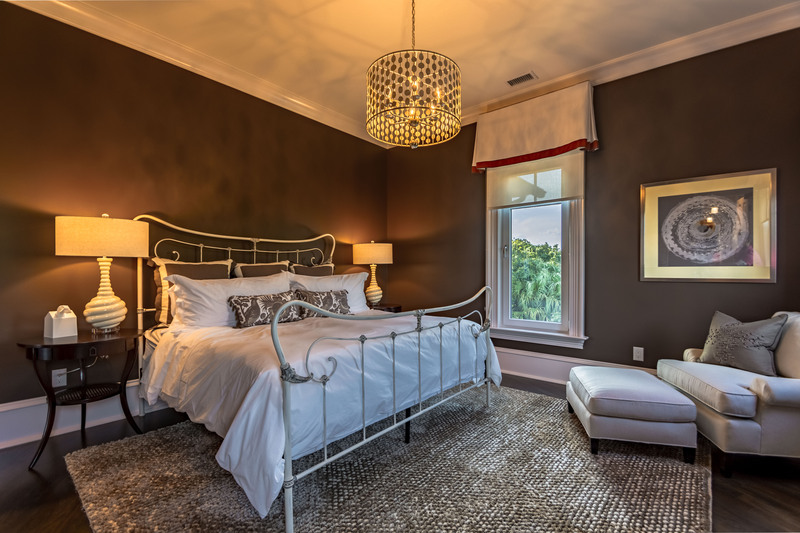 The home exudes Southern charm, showcases luxurious finishes and furnishings, and boasts over 6,500 square feet. The foyer greets you with a striking double staircase. Straight back is the billiards room, complete with pool table, comfortable sitting area, flat-screen TV, large bar with refrigerator, dishwasher, and bar stool seating, and access to the first level deck. Three bedrooms with private bathrooms and a large laundry room are also located on the first level. 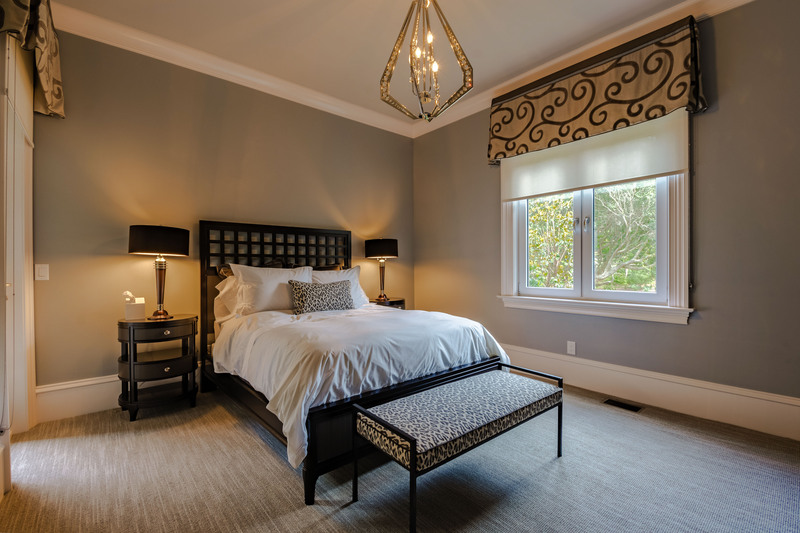 The bedrooms on the right and left each feature a queen bed, flat-screen TV, and bathroom with shower. The bedroom by the billiards room offers two sets of twin bunk beds, flat-screen TV, bathroom with shower/tub combo, and access to the first level deck. Ascend the foyer staircase to reach the main living space with stunning ocean views. The living room boasts a wall of windows and dual sitting areas with sofas and chairs. 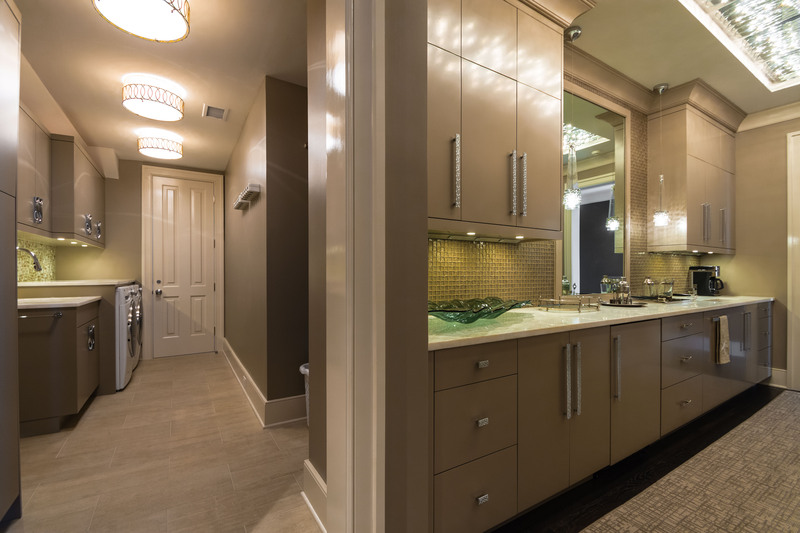 The large gourmet kitchen features custom cabinetry, granite countertops, and a large island bar stool seating. The ocean view kitchen also offers a large dining area and access to the main level deck. 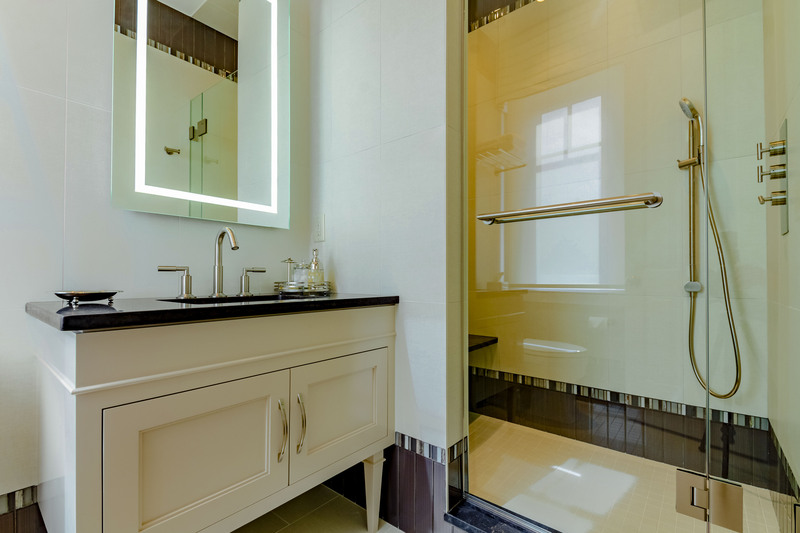 The main level includes two bedrooms - one king and one queen - both with flat-screen TVs and en suite bathrooms, as well as a powder room and a laundry room. 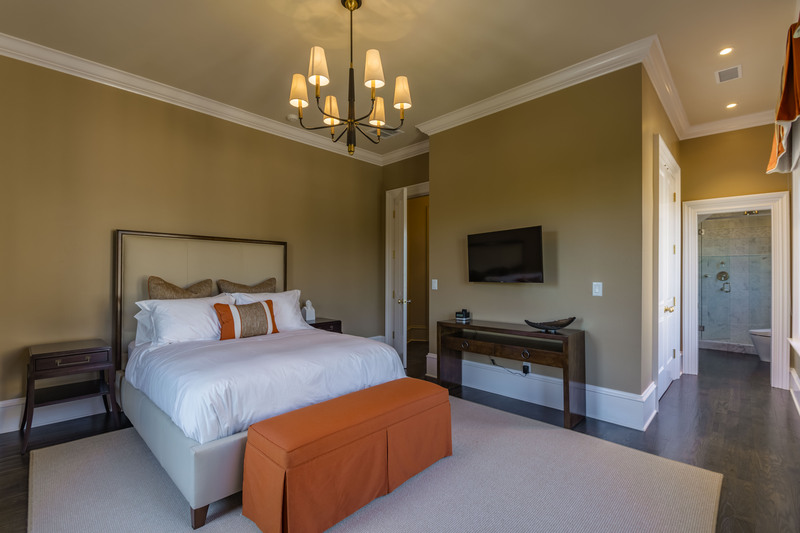 Two master suites, a common area with coffee bar and wine cooler, and a laundry room comprise the third level. 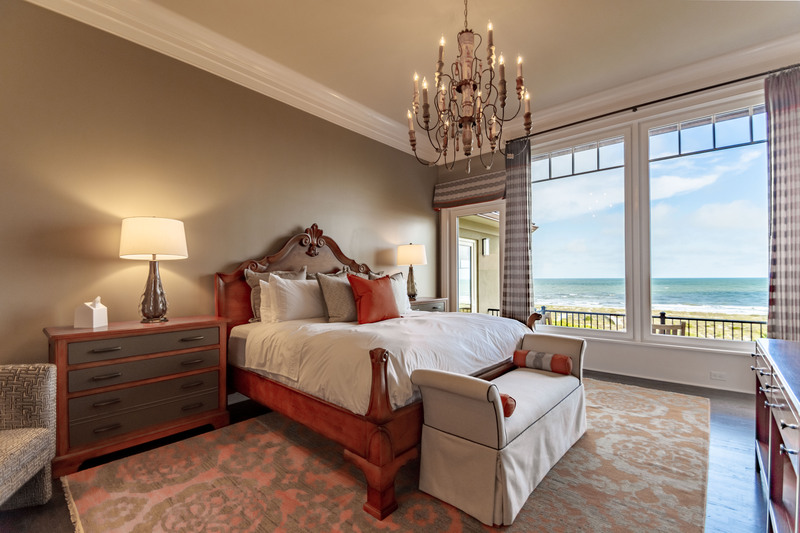 Both ocean view bedrooms offer king beds, flat-screen TVs, and private bathrooms, one with double sinks, spa shower, and bathtub and another with large two-person sink and spa shower. Each level of the home has its own deck. The first level offers a pool and spa (may be heated for an additional fee of $75 each per day) and stairs to the backyard and beach boardwalk. The pool is approximately 5-15ft x 30ft. The main level ocean view deck features a dining table and chairs as well as lounge chairs. 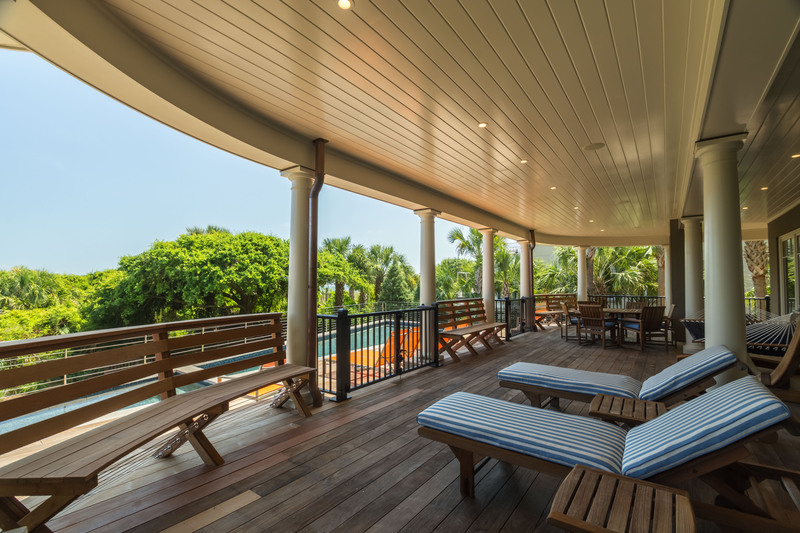 The third level deck provides the perfect spot for soaking in the picturesque ocean views. The home is served by an elevator to all floors. The home also offers 4 beach chairs, 1 beach umbrella, 1 beach cart, and 1 cooler for use by guests. Reserved alone or coupled with 44 Surfsong, this wonderful home is ideal for an extended family gathering. A $69 non-refundable damage fee is charged to each reservation. The pool and spa may be heated for an additional fee of $75 each per day. Excellent Property - hope to come back! This house lives up to the pictures and is in a perfect location. The home is beautiful and clean, the backyard and decks are a perfect place to relax, and the beach is just a short walk down a lovely path. We hope to come back and stay here again! 46 Surfsong is one of our favorite vacation destinations. The location of the house is special because it directly faces the ocean and the beautiful landscaping gives you a good amount of privacy. It has beautiful panoramic views of the ocean from most rooms. The house has been recently remodeled and is beautiful. The kitchen is very well appointed. There is a washer and dryer on every level. We rented the house for our yearly family beach vacation. Mom, Dad, 3 adult children with spouses, and 3 grand children, ages 4 and 1. The 7 bedrooms were perfect and all but one adult couple had a king size bed. The house has been recently refreshed and is gorgeous. Very clean with high end finishes, lots of refrigerators and 3 washer/dryers. Unfortunately Irma started making her way toward the coast after we arrived on Wednesday. On Friday the agency recommended we leave due to no commercial traffic or service on the island. We waited until the governor made his announcement on Saturday that there was no mandatory evacuation. We never left. Fortunately the grocery stores remained open and a few restaurants. We only had one and a half day of rain and didn't lose power. We didn't get to do a lot of the tourist activities we planned, but we had a lot of family bonding over board games and food, and biking. The house is big enough for everyone to have some space. The downstairs playroom is perfect for the kids to spread out their toys. Sixth time vacationing on Kiawah Island. Third time using Akers Ellis. This trip was the best ever. Three generations, ages 6 to 65 and we ALL had a marvelous time once again. Akers Ellis was terrific .... responsive when things weren't quite right .... helpful for information ... made it very easy to check in and leave. We will never use anyone else here. Highlights were making t-shirts, the beach (of course), the pool (of course), riding bikes, Merritt from Pampered Palate fixing us two "adult meals" during the course of our stay, the barbecue at Mingo Point, the magic show on Thursday evening, and a couple of visits to the Sea Turtle Art Studio at the Nature Center. The property was very clean and well maintained and the proximity to the beach was super. We will be back! Singing the Praises of 46 Surfsong! Our group of 14 friends had a fabulous time in this beautiful home! If possible, the home is even more spectacular than it's photos. The home accommodated us all comfortably with lots of room to visit, dine, play games, cook and watch the Super Bowl. Beach location was perfect - sunrise and sunset views! 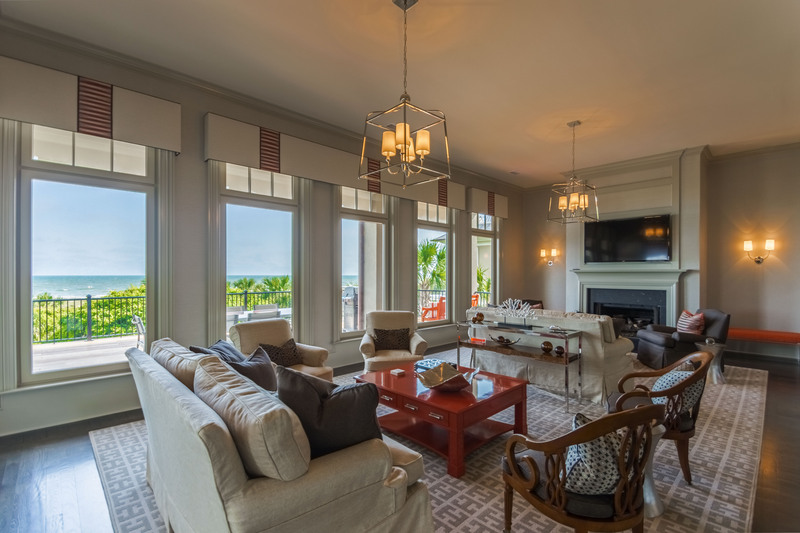 Home is clean, beautifully furnished and conveniently located for golf and the beach. Main floor had a 1/2 bath which was not advertised- very convenient. Only suggestion for improvement would be to add a second dishwasher in the kitchen to accommodate so many fabulous chefs and wonderful meals made together in this well equipped kitchen! 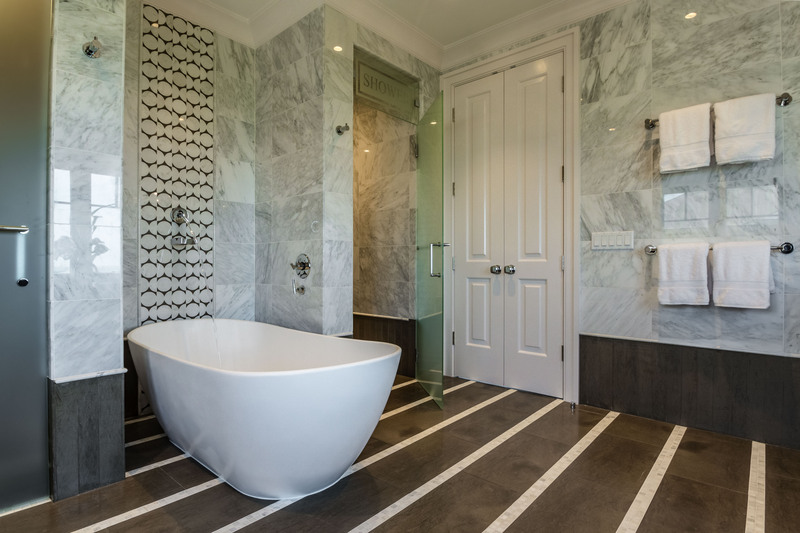 Akers-Ellis team were very responsive and easy to work with. Fabulous Home - created memories for friends to share for a lifetime. ! 5, we had a great week. We have been in touch with the team to find a comparable rental for next August and look forward to hearing back. This house was so beautiful. It had beautiful furnishings, a very well stocked kitchen, and the location had breathtaking views. 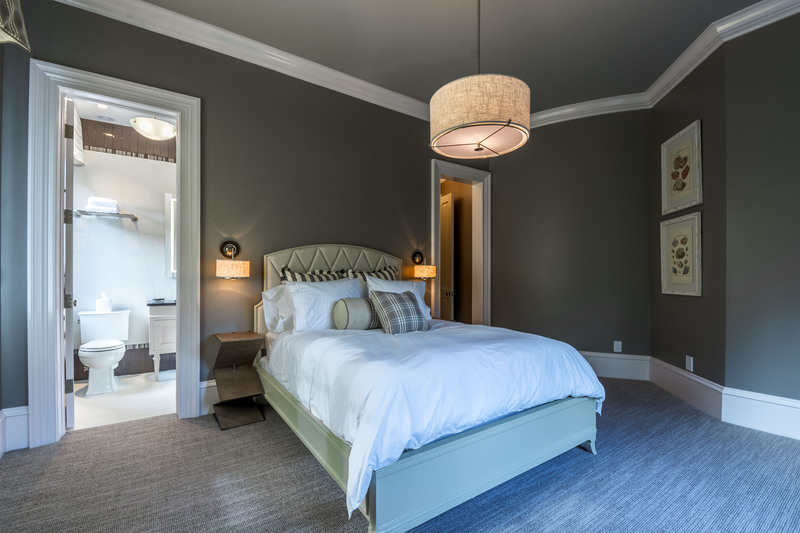 7couples enjoyed their own bedroom and bath, and the two large living spaces. This house had everything you need for a great vacation! Large, clean beautiful home that is less than 100 yards to the beach. 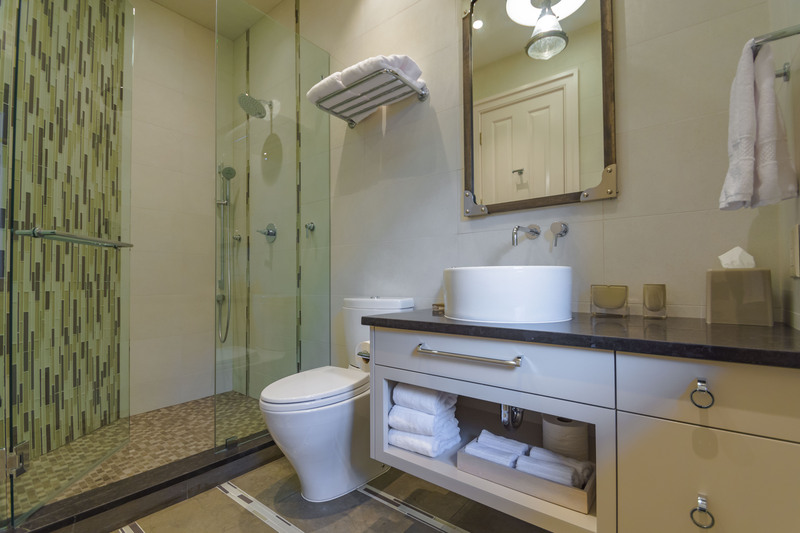 Great views of the beach, wonderfully appointed bathrooms, bedrooms and living spaces. 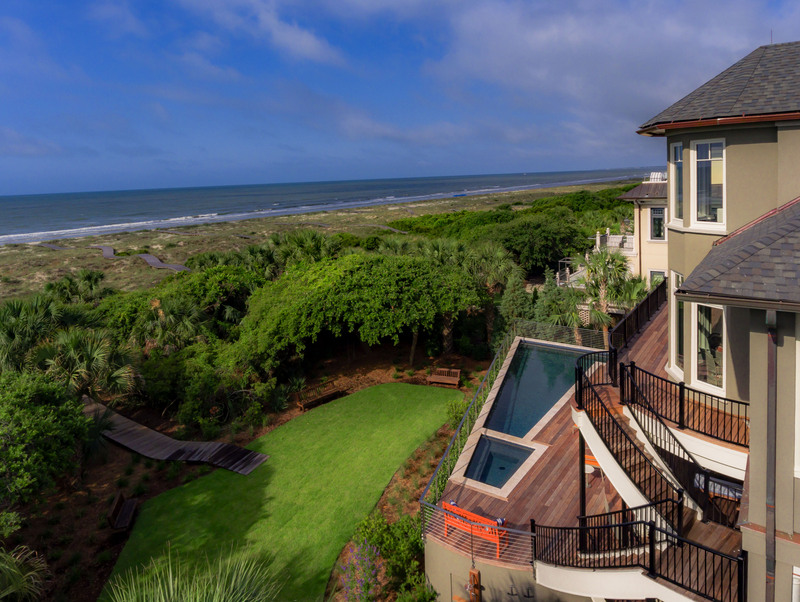 We have stayed at Kiawah 6 times and will definitely come back to this home. Loved it. Akers Ellis is spot on for service, from maintenance, check in to activity suggestions. You can rest easy that any issues will be handled quickly and professionally. Our extended family covers ages 9 months to 93. 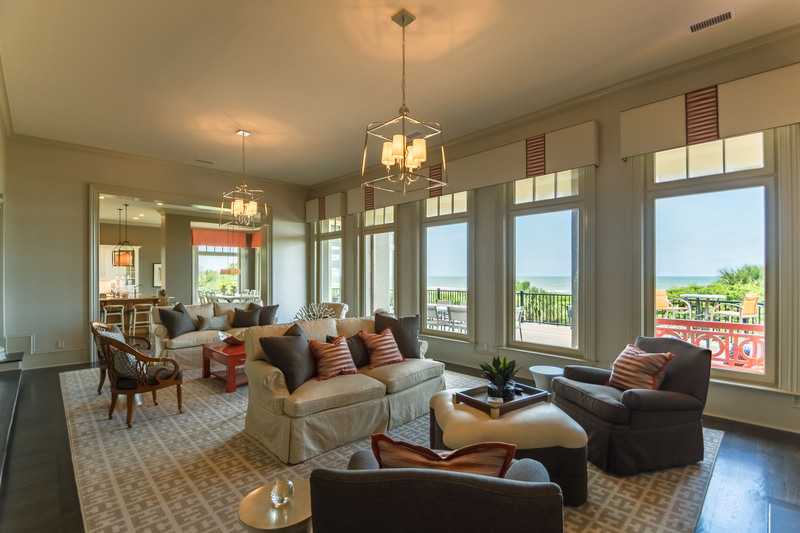 This beautifully decorated, meticulously equipped Kiawah retreat was PERFECT for the big Thanksgiving reunion wed been planning since the summer. 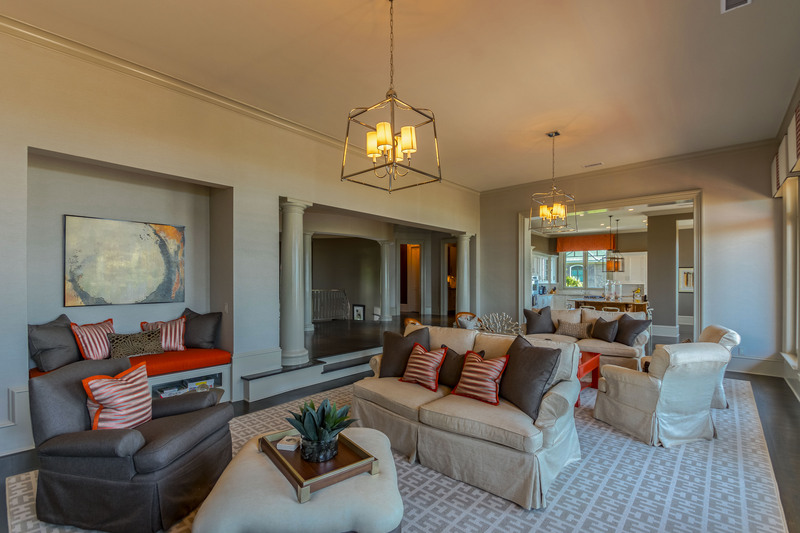 Whether you wanted family time or quiet time, this 3-story behometh could accommodate. Large bedrooms, elegant baths, three decks, two refrigerators, heated pool and a pool table - wow! Did I mention the kitchen had everything, including tableware for about 40? Still remembering morning coffee on the deck, cocktail hours by the pool and long slow walks on the beach. Hope I can return soon. We rent houses all over the country, and this one surpassed our every expectation. The house was well equipped, clean, well constructed, and just plain beautiful. This was an early Feb rental, and we made excellent use of the hot tub. Overall our experience was awesome. We want to return next year! My family and I had the most wonderful vacation at 46 Surfsong Rd. at Kiawah Island. The home was so beautiful and spacious with great ocean views. We all had our own rooms, and they were all beautiful, but the real jewel was the third floor master suite. It was like having your own apartment inside of the house. The kitchen was fully equipped with all of the essentials that we needed for cooking and gathering together for family entertainment. Having private access to the beach was very nice. We were sad that the week went by so fast. I highly recommend this one.